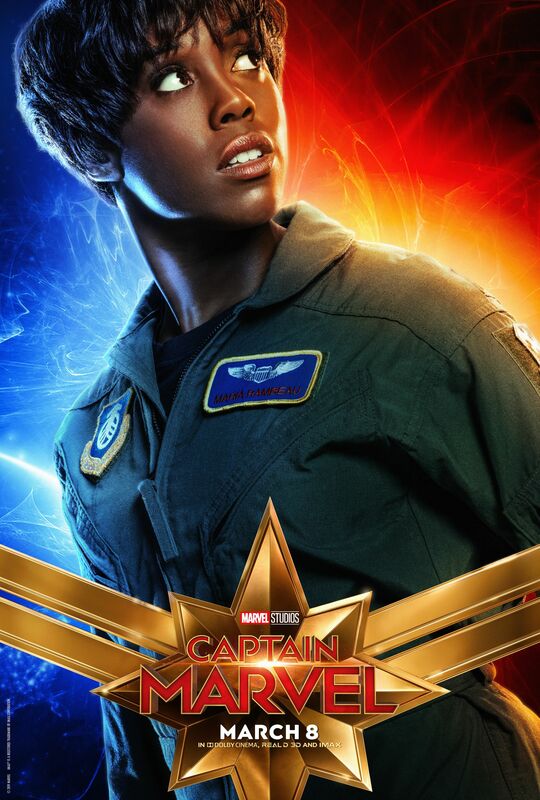 I’ve got very high hopes that Lashana Lynch as Maria Rambeau is going to wind up being a major bright spot in Captain Marvel come March 8th. It was most certainly the case during the two-day set visit I participated in last summer. I got the chance to join a group of journalists for a roundtable interview with Lynch and not only was she buzzing with enthusiasm for the project with an infectious energy, but she also teased the beautiful friendship between Maria and Carol Danvers (Brie Larson). They’re both fighter pilots and so close that Carol is actually an aunt of sorts to Maria’s daughter, Monica. Based on that description of their relationship, it probably goes without saying that when Maria loses Carol, she’s devastated. But as we all well know, Carol isn’t gone for good. She winds up fighting on the side of the Kree in the Kree Skrull war only to return to Earth a superhero. You can find out how Maria fits into it all and so much more in the full set visit interview below. 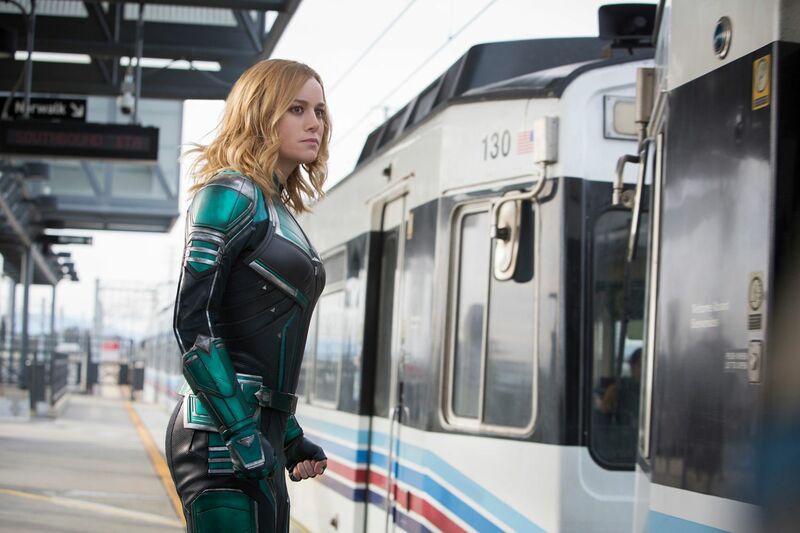 Captain Marvel is due in theaters on March 8th! So what has Marvel said you’re allowed to say about this? LASHANA LYNCH: That I’m a part of Marvel now. [Laughs] That’s it! Thanks guys. It’s been great! [Laughs] That she is Maria Rambeau, the mother of Monica, who I know you all know and love like myself. She is a fighter pilot, very strong, very bold, very in control of herself. I’d say, in high demand with the industry that she’s in. Her and Brie’s character Carol Danvers are very close friends. They’re best friends, in fact. She had to go through a lot of grief when Carol disappeared and then suddenly she’s back, and she has to kind of reverse that grief and make it work for this picking up of a friendship, which is kind of strange but ends up really beautifully. And she’s just an incredible character to play. It’s nice to see someone on the page who doesn’t yet have a fully fleshed personality who you can then inject wherever you want to, and that’s quite a treat for a Marvel character, you know? How long has it been since Carol disappeared or whatever happened to her? LYNCH: Oh, I don’t know if I’m allowed … a long time, a really long time, enough for me to come out of denial and then think that maybe she is alive, and then no actually she isn’t, yet years have gone by now and she definitely isn’t alive; do you know what I mean? Enough for her to go through that cycle. You’re in a unique position to almost create a character in a world where most of these characters around you are icons. Especially creating a black woman character in Marvel outside of Black Panther. What’s that been like for you as a process? LYNCH: It’s firstly a treat, because Black Panther I think just raised everyone’s awareness to the fact that we just don’t have any black superheroes and our younger generations aren’t seeing enough of themselves. We’re not being represented, and Marvel took that responsibility and I think for the change in consciousness that’s happening in the black community right now and over the last couple of years, they definitely picked the right time to drop the movie. I think the time really was now. Whilst I would have loved maybe 10 years ago to have a Black Panther, the world may have rejected it because of social issues, which I guess now we’re going backwards, so our social issues are even worse. But because of that, Black Panther needed to be that. Do you know what I mean? So in creating Maria, it made me realize that the younger generation are gonna have what I didn’t have as a kid, which is seeing themselves on screen. So this will be a classic film for the new generations to come, which is crazy. And also the new normal, which I can’t wait to be. Do you know what I mean? So, I did an ABC and Shonda Rhimes series a few years ago called Still Star-Crossed, and I played Rosaline, who is mentioned in like a slither of a verse in Romeo and Juliet, and I got to characterize her from scratch. So I feel like I’m repeating the same kind of process in that I can just bring whatever I want, and the directors Anna [Boden] and Ryan [Fleck] are so cool that I was like, ‘Actually, I feel like she can be like this.’ And they’re like, ‘Yeah. Of course!’ And I’m like, ‘Okay, well, also so she could be like that.’ [Laughs] And they’re like, ‘Yeah!’ So, I’ve had free rein within reason, and it’s been a very free and an exciting experience. Within that close friendship, what’s their dynamic? How would you describe the way they are with each other? LYNCH: They have a very dry humor together. You know when you love someone and you pretend like you hate them? They have that. A little bit of a slightly unlikely boisterous, yet very loving, deeply loving, caring sister love. They have a sisterhood about them that is really nice to see in a Marvel movie. Carol Danvers is someone who is an aunt to my child, like she is family and that’s why her death takes such a big effect on her life because she actually is her life. They’re in a male-orientated environment and industry. All they have is each other as female fighter pilots. So yeah, they’re extremely close, extremely. 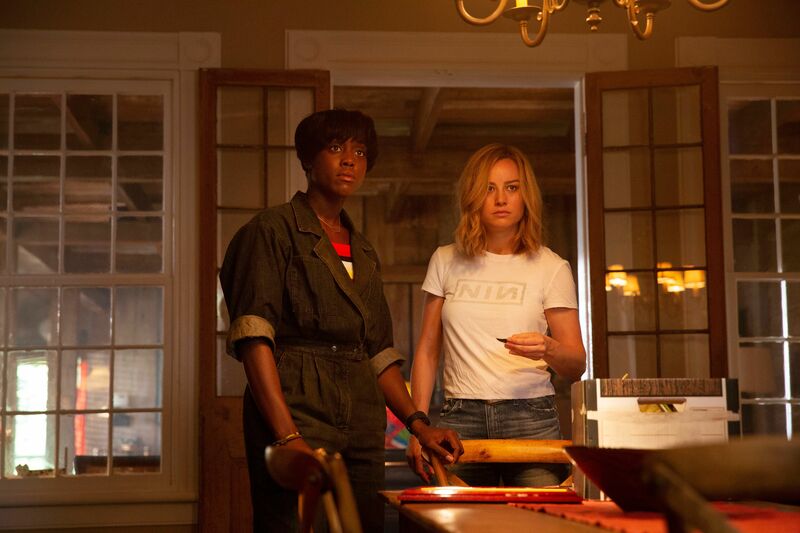 How much of their story are we going to see in the past when they’re fighter pilots and how much are we going to see when she’s Captain Marvel? LYNCH: You do get touches of moments to see how happy they were before and how happy they made each other. And because of that, when she comes back, you see why it affected her so much. You see why her death was such a big deal. And imagining my character now being the only female fighter pilot, African American as well, in her Air Force base would have been hell. I don’t actually remember what I was saying at the beginning [laughs], but from her going from working with someone and actually being that complete bum chums to being alone, and raising a child single handedly with the help of her parents is a hellish experience and I could relate to that as well with losing someone myself. It’s hard. It’s just, it’s a lot, isn’t it?